Spicy, salty and tangy seasoning: stick to the rim of a margarita or beer glass or sprinkle on to your favourite snacks. 70 grams packed in tin. 250 grams and above packed in zip lock bag. Instructions: Put sufficient seasoning onto a small saucer, wet the rim of your glass with a piece of cut lime, invert glass into the seasoning so it sticks to the lime, carefully pour drink into glass. Also try this seasoning on popcorn or cut fresh fruit. We are sorry but this item is currently out of stock. Why not consider a different Size? 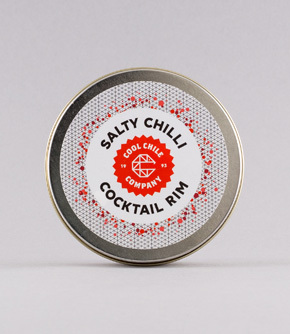 Why not take advantage of our cocktail rim offer - 2 Cocktail Rims for £6.50Sweet and tangy hibiscus flower seasoning with a touch of salt and chilli:&nbsp;stick to the rim of a margarita or beer glass or sprinkle on to your favourite snacks.